In the afternoon of September 6th, 2015, “A Tale of Mammals”, the solo exhibition of Israel artist Yuval Shaul officially kicked off at Being 3 Gallery of. This is artist’s first solo exhibition in China. 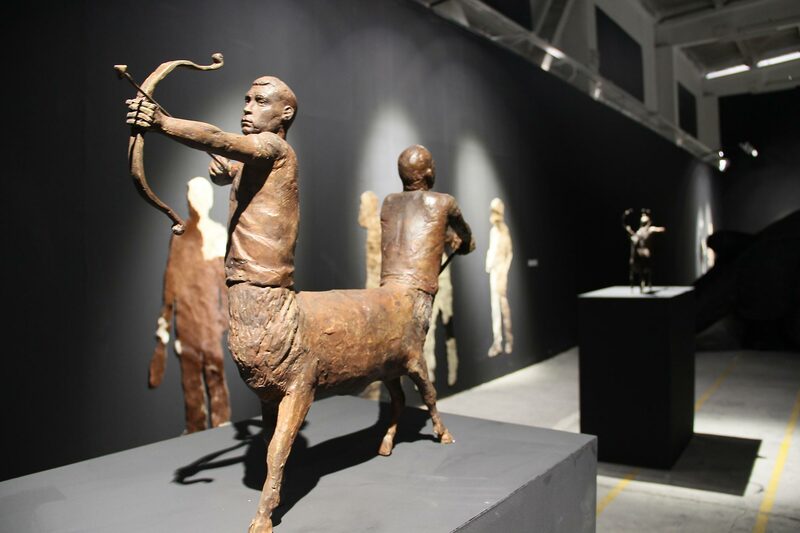 This exhibition includes various types of Yuval’s works ranging from paintings, photographs, sculptures to installations etc.… These works are mainly about nomadism, migration, war, victory and defeat, life and death, thinking through a symbolic way of world history, politics and social issues. The series works“No justice, only us”are made of furs, which discern the very nature of human wars and violence; the series photography called “il nuovo mondo ”reflect human history of expedition; the work named “the silence is the most beloved food of sorrow ” discusses the issues of birth and death. In the center of the exhibition space, there is a huge whale installation, which is like a transformative submarine, with a length of 18 meters. What makes it very special is an artificial heart installed beating in its body. The loneliness and sadness expressed by the sound made by this “whale” imply that it could no longer return to the sea. The opening ceremony of the exhibition is very special, with the dialogues from the experimental playwright of Hanoch Levin, the most leading dramatist in Israel. Ms. Michal Schwartz, the press spokesman from Israeli Embassy, ambassador's wife, Mr. Gedaliah Afterman from the Yellow Mountain Art and other important guests from various circles attended the exhibition opening ceremony. The exhibition will continue until October 10, we welcome all friends to come and visit!